Pearls are selected for their size and color (hue). Careful color grading is extremely important. Pearls are then drilled from both sides, often at a place that is slightly flawed. They are then sorted, threated, and marketed. Mabe pearls are cultured blister pearls. These are produced by inserting a half bead against the shell of the mollusk, after a layer of nacre has been deposited over the bead, the whole formation is cut out and the nacreous dome cemented onto a mother of pearl bed. 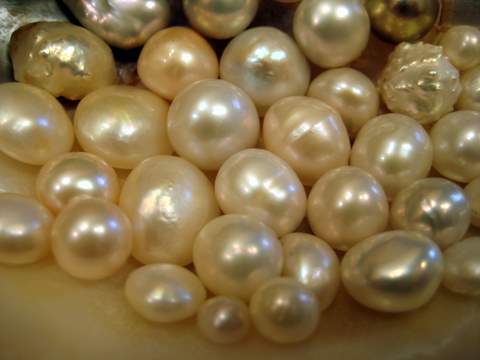 Pearls are known to have been used in jewelry for over 6000 years. Fresh water pearls make up more than 90% of today’s world wide pearl market, and have never been so large or so widely accessible in human history. Although fresh water pearls have been found all over the world, the most notable cultivation have been in the US, Japan and China. Dependent on the shell they are harvested from the natural colors can vary wildly from white, cream, through golden, pink, lavender and sometimes soft blue. Beyond the natural colors, Chinese fresh water pearls are available in a dizzying array of non-natural dyed and treated colors. Freshwater, Saltwater, Cultured, Natural What is a REAL Pearl? Pearls are one of the few organic gemstones. It is the only gemstone that has been grown inside a living organism. 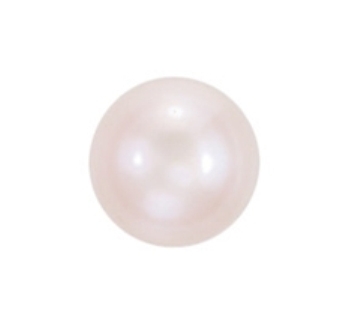 A pearl is unique gemstone because in its natural state--without any polishing, cutting or other manipulation--it shows it full beauty, gloss and luster. Pearl jewelry has been prized for its beauty for centuries. Once reserved for onlythe wealthiest people, technology and advancements in pearl farminghave made pearl jewelry more commonly available and affordable. 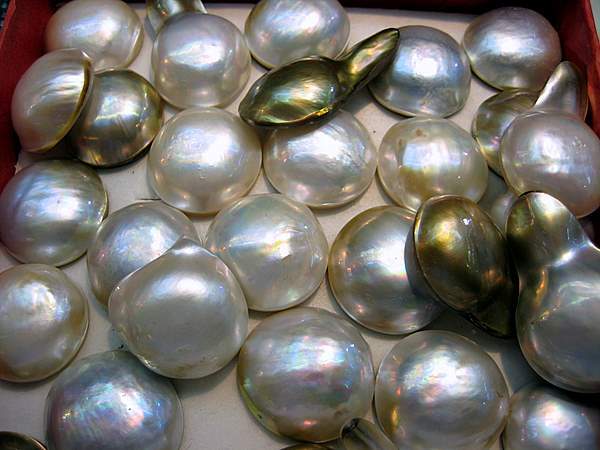 Read more: Freshwater, Saltwater, Cultured, Natural What is a REAL Pearl? Freshwater pearls and Saltwater pearls differ in the type of luster, first of all. In appearance Freshwater pearls are noted for a softer luster, a glow that comes from deep within the pearl. Saltwater pearls include Akoya pearls, which may be a similar size to Freshwater pearls but have a more brilliant superficial luster. The difference is due to the type of mollusc used to produce the pearls and the thickness of the nacre. Freshwater pearls have thicker nacre as seen in the explanation below.